The Colorado Rockies and San Francisco Giants begin a stretch of six meetings in nine days Tuesday night when they hook up in the opener of a three-game series at AT&T Park. 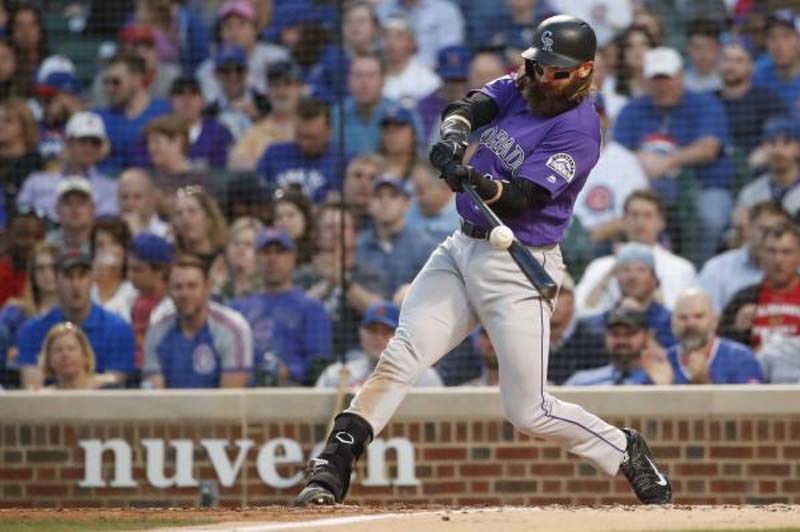 "We obviously need to make a run before the All-Star break," Rockies outfielder Carlos Gonzalez proclaimed after Sunday's 8-5 home loss to Miami. "We need to finish the first half strong, just the way we started the season. We have a good group, but it just seems like we are going through a rough time." That surely can be said of Colorado's starting pitcher in the series opener, right-hander Chad Bettis (5-1, 5.23 ERA). He has allowed 28 earned runs in 26 innings in his last five starts, yet has somehow managed to go 1-0 during that span. He has been stung by the long ball this season, allowing 14 home runs in his 15 starts, and has given up homers in his career to six current Giants, including outfielder Gorkys Hernandez, who had a home run and three doubles in his last three games against the San Diego Padres. Hernandez had a nice week -- eight hits, including four doubles and two home runs -- but nothing like the one experienced by Rockies third baseman Nolan Arenado, who smacked five homers among 11 hits last week.